Yes, well, sometimes, I take lyrics in songs far too seriously. 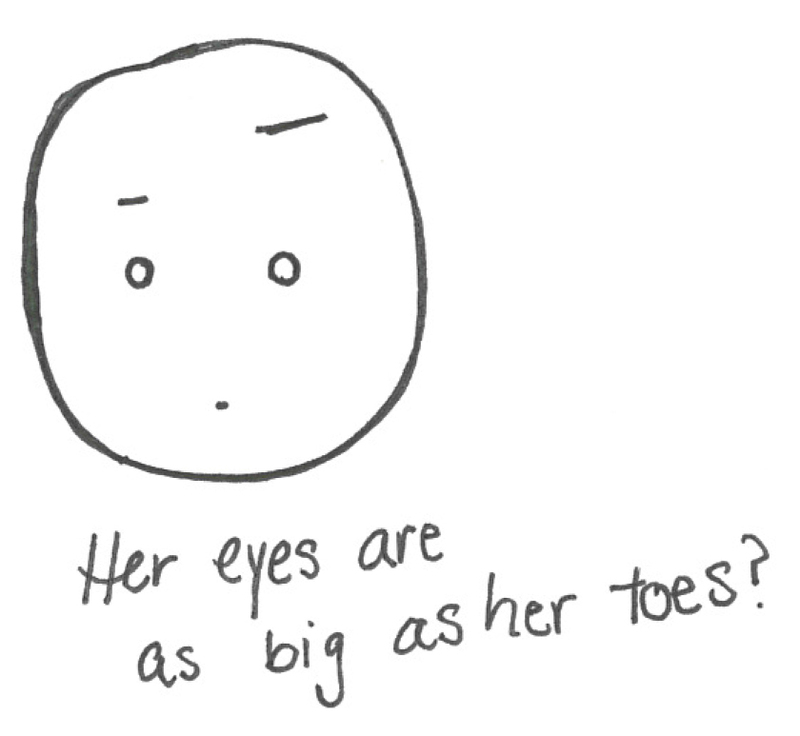 “It’s as simply as something that nobody knows/ that her eyes are as big as her bubbly toes”? Seriously? That makes no sense. Granted, it’s a sweet song, I guess. Note to self: you should probably stop taking Jack Johnson literally. Speaking of the man, he’s touring again this fall!! …but the closest show to me is in Atlanta. WELL. Time for a road trip, then. This entry was tagged bubbly toes, Jack Johnson, lyrics, music, The Blob. Bookmark the permalink. I once saw the cafeteria where he met his wife, which he talks about in this song. Did they serve banana pancakes?